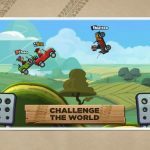 Hutch Games has just released MMX Hill Climb for Android and iOS devices, which is the latest mobile title from a company that seems to specialize in casual racing games. According to the company, MMX Hill Climb is the most crazy, addictive, and fun physics-based racing game ever made. While many may contest that, we do agree that it’s a lot of fun. It’s simple fun, but oftentimes it’s the games with less bells and whistles that draw us in and get us hooked. 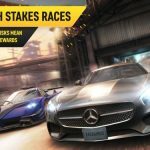 Even then, the game promises a “truckload” of tracks and courses, and the ability to race your friends and climb up on the Google Play and Game Center leaderboards. 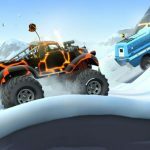 The game does come with its share of trucks and its share of tracks, but if you’re looking to ace more of those tracks and enjoy more of those trucks/vehicles, we recommend you keep on reading and check out our latest game guide – our MMX Hill Climb tips and tricks list. When it comes to the upgrades you can perform on your car, you would normally want all characteristics or stats are given equal attention. If you’ve stuck to one singular type of upgrade, that would leave you with a mostly useless vehicle, or one which you cannot control no matter how hard you try. Speed is all well and good, but you shouldn’t focus your upgrades there if you don’t want your vehicle to flip over repeatedly; instead, take a look at grip and stability as well, and keep those upgrades equal. MMX Hill Climb comes with two distinct types of currency. Gold is your common currency, while upgrade points, as it seems, are the premium form. In order to earn gold, all you’ll have to do is to watch as many videos as possible. You can also collect free gifts in order to earn more currency in the game. Watching ad videos also allows you to double the value of your free gift, and if you don’t have any upgrade points on you, it’s possible to use gold, though it will be charged against you on a 1:1 basis. 4. Should You Buy A New Car Or Not? The game will give you many chances to buy a new car, and you can spend the gold you’ve won on a brand new ride. Still, there are other ways to get yourself a new vehicle. First, try to make it to certain level, and complete that level while you’re within the stipulated limit. You can then go to the vehicle store and scroll over, which will reveal to you the stuff you need to do in order to win that car. Last, but not the least, this game will allow you to grind if you’re already completed more than a few levels in the game. If you weren’t able to get the record time on your first try, the game will allow you to gun for more tries; the main benefit of making the most of your upgrades is that you can finish a level at a faster time. That’s going to earn you rewards if you’re able to finish the level at a faster pace, so always race with that all-time record in mind, whatever that record may be. 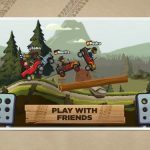 This wraps up our list of tips and tricks for MMX Hill Climb. If you have more tips for this exciting game, don’t hesitate to let us know in the comments section below!